Content related to the education session, Expect the Unexpected: Planning for Store Longevity[field_which_institute]. The ability to stay in business for decades—and longer—means weathering change by staying adaptable and flexible. Customer relationships and sales are just part of the equation that can ensure the longevity of a business and even turn it into a celebrated, longstanding institution. Careful planning and understanding of your store’s resources, a flexible business plan, continuously improving operations, and a culture that willingly embraces change in order to adapt and improve are all factors that influence where your business will be around in 5, 10, or 20 years—or more. A a panel of longtime booksellers will lead this not-to-be-missed conversation. Content related to the education session, Do We Need to Talk? ​Surviving the Political ​& Cultural ​Divide With Your Co-Workers[field_which_institute]. Divisive political commentary and ongoing reports of cultural and social misconduct continue to be highlighted in both national and local media. Because bookstores are both unique meeting places and businesses, many booksellers are struggling with how to navigate the resulting personal and professional pressures. What are the questions that owner/managers and staff should be asking that can lead to fruitful discussions and solutions? If you have found yourself thinking about this and discussing it with colleagues, please join the conversation. Facilitated by a professional moderator, this is an opportunity for booksellers to participate in this important discussion. Content related to the education session, Managing a Multi-Location Business[field_which_institute]. Content related to the education session, Mixing Bookstores and Bars[field_which_institute]. Independent bookstores are champions of innovation when it comes to business models. For the last few years, many bookstores have added bars to their business model by blending books with booze. This session will feature booksellers from both small and large stores who have experienced the successes and challenges of this business model. Content related to the education session, Advanced Education: Developing Leaders in Your Store With Alden Mills[field_which_institute]. Pre-registration required; for owners and managers only. Register here As a bookstore owner or manager, having multiple responsibilities means your to-do list is never done. And as your business grows, your days only get longer. In order to keep your sanity, you need staff who can take on more responsibilities and grow with the business, providing leadership in your store and possessing the confidence to represent your store in the community. For this to happen, you need employees who can think strategically, take initiative, and feel empowered to solve problems. Alden Mills—Inc. 500 CEO, Navy SEAL, and author of Unstoppable Teams: The Four Essential Actions of High-Performance Leadership (HarperBusiness)—will teach important strategies you can apply immediately to develop leaders in your stores. You’ll walk away with Alden’s C.A.R.E.-based model that focuses on building relationships in four ways—with customers, co-workers, and community. This Advanced Education Session is designed for in-depth exploration among peers about management and operational concerns. Space is limited and registration is first-come, first-served. Each ABA member company is limited to two AES participants. ABA will attempt to accommodate all interested stores with at least one AES placement; assignments will be e-mailed prior to the start of Winter Institute. Presented twice on Thursday, 1/24: 9:20 to 10:20 am and 3:40 to 4:40 pm. Content related to the education session, Bookstores Launch the Open Discussion Project[field_which_institute]. As part of the pilot program of the Open Discussion project, five independent bookstores will be launching reading groups in the fall of 2018 with the goal of bringing liberals and conservatives together to discuss the issues that divide them. The Open Discussion Project is sponsored by the National Coalition Against Censorship (NCAC) in partnership with ABA. 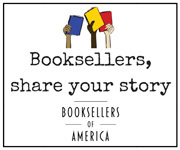 NCAC and ABA are inviting booksellers to join the Open Discussion Project when it goes national next year. A panel of booksellers who are participating in the pilot will discuss their experience. Content related to the education session, Your Landlord, Your Business Partner[field_which_institute]. Content related to the education session, Industry Trends and Analytics[field_which_institute]. Industry experts present a review of the most recent data on the U.S. book market with a deep-dive into the latest trends. There will be plenty of new insights to help attendees improve their business in the coming year. Content related to the education session, Maximizing Pre-Orders Fall Shows 2018[field_which_institute]. Maximizing Pre-Orders focuses on how indie bookstores can take full advantage of pre-order opportunities and boost their sales, PR, and market share. In this presentation, booksellers will also discover ways to successfully promote and sell pre-orders including new methods developed and tested by ABA’s Pre-Orders Task Force of indie stores. Content related to the education session, Advanced Education: Do Less, Then Obsess - Recognizing Your Store’s Strengths and Making the Most of Them, with Morten Hansen[field_which_institute]. Pre-registration required; for owners and managers only. Morten Hansen, co-author of Great by Choice (Simon & Schuster) with Jim Collins, is a professor of management at the University of California, Berkeley. His forthcoming book, Great at Work, which draws on a longitudinal study of more than 5,000 managers and employees, has already been hailed by organizational psychologist Adam Grant as “the definitive guide to working smarter.” Professor Hansen will lead an interactive workshop on how bookstores and booksellers might find more success not by doing more—not by joining another social media platform, by trying to sell nonbook merchandise, or by trying to be the “everything store” that Amazon has become—but by identifying the work that their bookstore does best, and then effectively obsessing about it. Hansen will lead a discussion for owners and managers who want to maximize their time and increase their job performance and will share his “Seven Work Smarter Practices” and provide an opportunity for booksellers to identify ways to apply them to their daily business lives. Advanced Education registration is closed. Content related to the education session, Principles of Bookstore Finance Seminar[field_which_institute]. This 101-level seminar covers the fundamentals of budgeting, understanding cash flow, business financing, bookkeeping, and financial statements. The workshop includes a segment focusing on strategies for achieving higher profits and improving cash flow. The program concludes with an interactive group discussion, working through an example of how booksellers can use their store’s financial information to make sound business decisions. The seminar concentrates on bookstore finances as opposed to bookstore accounting, and though it is helpful for attendees to be familiar with basic bookstore finances, deep financial experience is not required. Content related to the education session, Advanced Education: Managing Managers (pre-reg required)[field_which_institute]. For owners and managers. Pre-reg required. This ticketed session is open to ABA member store owners and managers only. One of the most important hires for any retail operation is a manager. Whether for the entire store, a section, or a key function, managers take pressure off owners, allowing them to focus on big-picture business decisions, secure in the knowledge that day-to-day operations will continue successfully. In this session, owners will learn strategies for communicating, delegating, training, and thriving through skillfully empowering managers. Facilitated by Lani Basa, owner and CEO of The Business Women’s Circle (BWC), a group providing a confidential and collaborative setting for businesswomen to foster growth and work on their businesses with the support of others. Content related to the education session, Best Practices for First-Time Managers[field_which_institute]. Congratulations, you are a manager! Now what? Being a manager is not easy, and, while your exceptional performance may have gotten you that promotion, your new position will require a whole new set of skills: delegating, motivating, negotiating, communicating, etc. A professional will offer tools and techniques to help first-time managers survive and thrive. Content related to the education session, Advanced Education: Human Resources Essentials for Bookstores[field_which_institute]. This is a ticketed session. For owners and managers only. Limited capacity, first-come, first-served. Preference will be given to ABA owners and managers. Dr. John Sherlock, Director, Master of Science Human Resources Program at Western Carolina University, will lead a discussion that will focus on best HR practices for small business owners, including talent management and how to create a skills inventory for you and your staff.